PDQ Workholding is a modern tool shop focusing on the design and manufacture of part holding devices. Our core specialty is hydraulically-actuated machining center fixtures. The PDQ strategy is to employ the brightest personnel using the newest technologies to provide the lowest Price and quickest Delivery, while maintaining the highest level of Quality. Our goal at PDQ is to provide our customers with the best possible workholding solution to make their project go as smoothly as possible. We stand behind our work and will support our customers if issues arise at any phase of the project. Lean operating practices and short chain of command allow us to react quickly and effectively. Workmanship on all fixture components is also backed by a two-year warranty. PDQ was founded in 2010 by six veterans of the workholding industry. 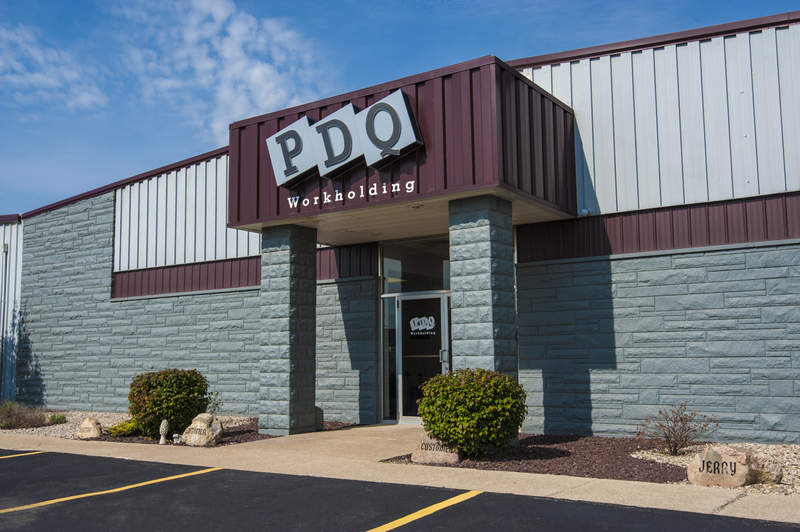 Before building our first fixture, the staff at PDQ had decades of experience in the machining industry, and our engineering department had over a hundred fixture designs under their belt. Despite the strong start, we’ve continued to adapt, improve and grow over the years. Our 30,000 sq-ft facility is located about 20 miles west of Fort Wayne in Columbia City, Indiana. There were only a handful of machines on our shop floor when we started business in 2010, but the constant need to increase capacity has filled it up. Please see our “PDQ Process” tab for more info on our equipment and facility. You can also take a look around by taking our Google Tour. Since its inception, PDQ has been shipping fixtures worldwide. Although a good portion of our work is still domestic, we regularly ship fixtures to Thailand, South Africa, and Mexico. We’ve also built fixtures for projects that are currently running parts in Canada, China, India, Brazil, and Argentina. Our product is on almost every continent in just about every corner of the world. We have extensive experience working with customers from Mexico. Two of our designers are fluent in Spanish, and we take regular trips to Mexico to visit and support our customers there.